an installation at a contemporary art fair. 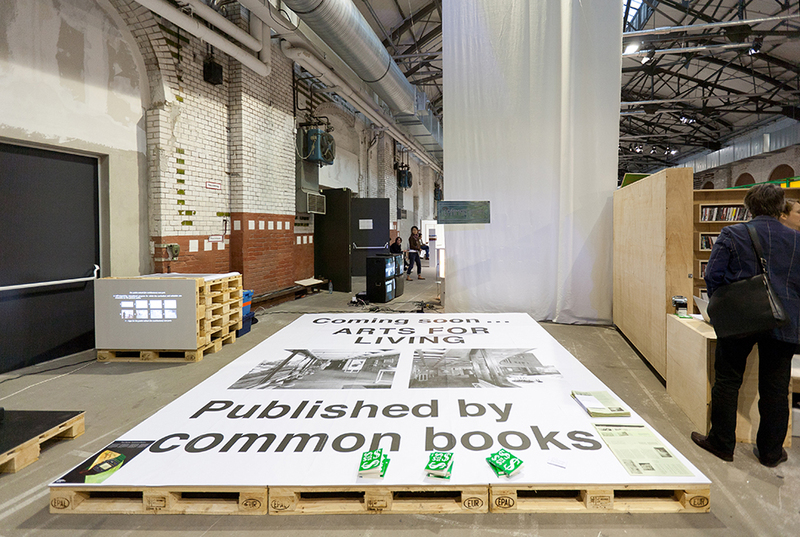 common room was invited by artists space to participate in the art berlin contemporary 2012 “bazaar” featuring an “expanded yet interconnected field of contemporary cultural production” with 27 international organizations and initiatives presenting their projects. 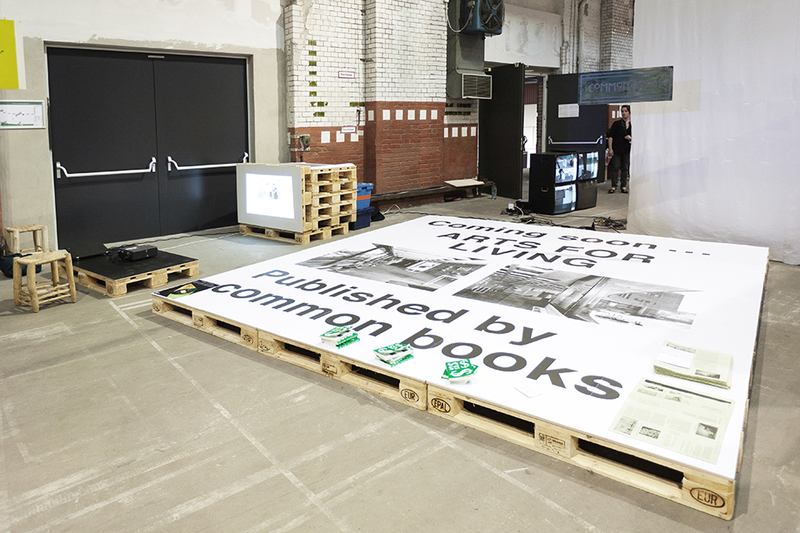 for our presentation a billboard advertising a forthcoming common books publication, arts for living, was constructed and placed flat on the ground, functioning as a platform to sell recent publications produced by common books. an animation of the common room web-site was projected as a continuous loop on a small vertical platform.